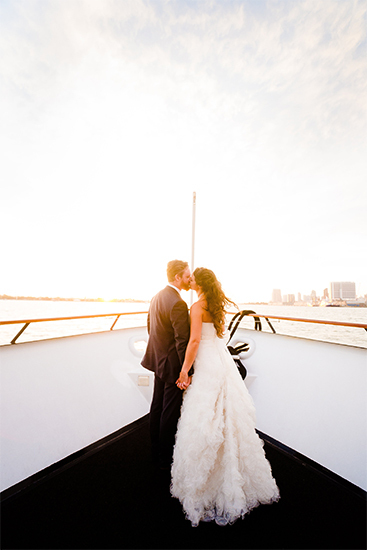 What could be more romantic than getting married on a boat? Uniformed crew pampering your guests as they embark on a magical cruise, surrounded in beauty, comfort and luxury. For a cost that’s no more expensive than most popular wedding venues in San Diego, we can make your dreams of a yacht wedding come true. Our wedding team makes planning a breeze. Choosing a family business like Flagship means you can count on getting the most quality, value and personal attention. Whether your cruise includes the ceremony, just the reception, or your rehearsal dinner, we're experts at finding custom solutions to accommodate your vision. All our packages are completely flexible. No two weddings are exactly alike. Captain's Ceremony - Get married by a captain at sea! Every event includes an experienced wedding coordinator to manage staff, vendors, and wedding set-up, as well as assisting you and the wedding party throughout the day. Chef Brian Gist celebrates flavor and diversity with a modern and unique take on traditional West Coast fine dining. A Seattle native, Gist received his formal training from the California Culinary Academy in San Francisco. 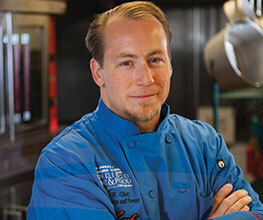 He cultivated his unique flavors and skills at renowned establishments such as Salish Lodge, La Costa Resort and Spa, and The Harbor Club. After impressing diners up and down the west coast and mastering a range of international cuisine on private yachts in Panama, Mexico, and Canada, Gist returned to San Diego and joined the Flagship team in 2000. Chef Gist takes advantage of San Diego’s proximity to fresh-caught seafood and local vegetables. The fish you eat on a Flagship Cruise was caught that day and the vegetables were sourced from nearby California farms whenever possible. These are more than just details; they take the dining experience to new levels. Your guests deserve it! 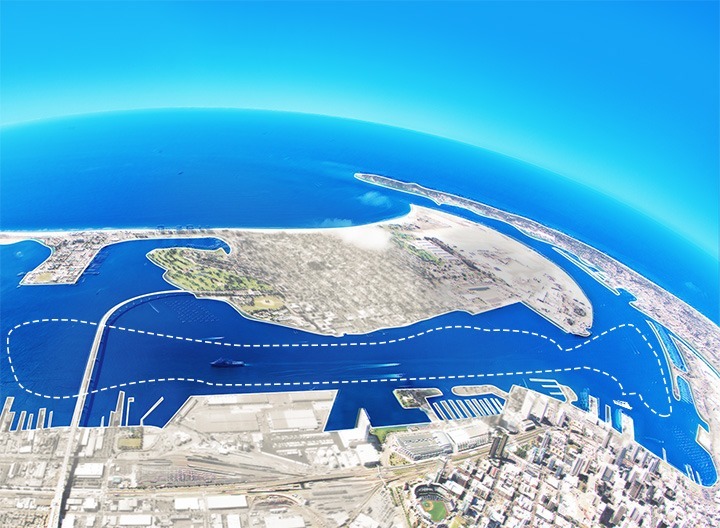 Flagship owns the newest, most modern fleet in San Diego. Each luxury ship has amenities that will take your breath away. From the largest to the most intimate events, we have the vessel to provide a perfect fit. 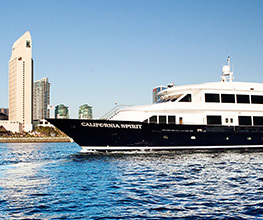 Our guests are still bragging about the service aboard the ship, the wonderfully sumptuous meal prepared right on board, and the unique venue of the San Diego Bay. It was a special day for us, and everyone there seemed to have a fabulous time. They all complimented the bartenders and wait staff as being attentive and fun. All of the guests raved about the cruise... It was the absolutely perfect celebration! The staff at the wedding were amazing and my champagne glass was always full! We had a mariachi band, outstanding food and beverage, perfect weather, and a sunset. Flagship Cruises made ours one of the most stress-free events imaginable ... the service provided was top notch! One of the best and most unique venues for a wedding. So picturesque, intimate, and entertaining the whole night through. We had complements from everyone... 'best wedding ever,' 'truly a unique experience,' 'great views of the harbor, downtown San Diego, and Coronado,' and it goes on and on and on. Outstanding service on a beautiful yacht. For a wedding, this is the best venue and the best value in San Diego! The yacht was beautiful, the food was great. The staff was professional, friendly and willing to do whatever it took to make my wedding day run smoothly. The staff was amazing. I could not have asked for better service! Everyone was so sweet and very professional. They made our perfect day even better! We had our wedding aboard the California Princess, it was the best decision we could have ever made! I was especially impressed with the staff - they paid attention to all of the tiny details that make a wedding and reception great! I have never seen such fantastic customer service, it was truly exceptional. I thought it might be too cookie cutter instead of individualized. I was wrong! They allowed us to personalize everything that we wanted. 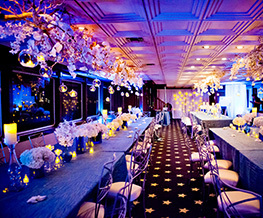 Let Flagship host your rehearsal dinner aboard one of our ships. What a spectacular and unique venue to kick off your wedding weekend. Imagine your friends and family dancing and dining on a luxury yacht, raising their glasses to you, with breathtaking waterfront views in every direction. Capture all the beauty of San Diego and make it your own. Why Flagship? We have the newest fleet, the most professional staff, and the highest quality food. All the wedding amenities we offer are available to help you plan a stress-free rehearsal dinner cruise—fine linens, plated dinner service or buffet, full service bar, DJ/live music. Sail away on a Flagship cruise for a truly San Diego rehearsal dinner experience. In a setting that is both intimate and grand, you’ll capture priceless moments, photos and memories that you will treasure forever. Many couples also choose Flagship to host engagement parties, bachelor and bachelorette parties, bridal showers and vow renewals. A wedding event with Flagship is an experience like no other. It’s the perfect way to celebrate the most special day in your lives. Contact us today to help you make your dreams come true.